Few people would disagree that protein is essential for health. Proteins play a key role in many systems throughout our body, including muscle development and maintenance, weight loss and even longevity. To see these benefits, consuming enough quality protein is critical. But, that’s not the only consideration. Slow digesting protein foods are also critical. With these foods, the proteins release more slowly. This slow release can help you to feel full for longer. Slow and fast protein both have their benefits. There isn’t a single best type. Instead, the best choice is going to depend on your needs at a given point in time. The site Precision Nutrition conducted an interesting review looking at whey protein and casein protein. Both protein types come from milk – but whey is digested quickly, casein digestion is slower. They found that the faster digesting protein was more powerful for muscle development. On the other hand, slow release protein has been linked to repairing damaged tissue and muscles. It is a particularly common choice before bed, giving your body the resources it needs to optimally repair while you sleep. Slow release protein may also decrease muscle breakdown while you sleep (also called muscle catabolism). This makes the protein critical even if you’re not focused on the gym or muscle development. The foods below are all options for slow releasing protein – ones that you can easily include in your diet. Many of the entries include estimations of digestion time (the full list can be found here). These are approximations only and are best used as a rough guide. The actual digestion time will be influenced by many factors, such as how the protein is cooked, an individual’s digestion and even their overall diet. Greek yogurt is a great source of protein and most of that protein is casein. As such, it is a good slow digesting source. Greek yogurt is produced through straining. This process makes it more protein-dense than most other types of yogurt. It also gives it a thicker texture, making it more satisfying to eat. The yogurt is also a perfect snack, simply because it is easy to consume. Many different recipes use Greek yogurt too, often because of its creaminess. Even so, you need to be careful when choosing Greek yogurt. Some brands are high in sugar and/or additives. If possible, it’s best to buy plain and unsweetened Greek yogurt. You can add toppings or healthy ingredients (like cacao nibs, kiwis or pomegranates) to make it taste perfect. Try to avoid low-fat versions. Full-fat Greek yogurt will tend to be digested slower and is much more satisfying. Plus, low-fat versions often have extra sugar. Even when they don’t, fat isn’t unhealthy. Skyr is an alternative to Greek yogurt, with many similarities. It’s a type of strained yogurt as well, one that is high in slow digesting casein protein. The production techniques are a little different. As a result, skyr tastes similar to Greek yogurt, but it isn’t quite the same. For many people, skyr is more appealing. It still has a sharpness that regular yogurt doesn’t contain. But, this is less intense than with Greek yogurt. Cottage cheese is especially powerful as a slow digesting protein source, more so than Greek yogurt or skyr. This is because making cottage cheese involves separating out the fast digesting whey. So, you’re just left with slow digesting protein. Cottage cheese is also very popular as a snack, partly because it is so mild. 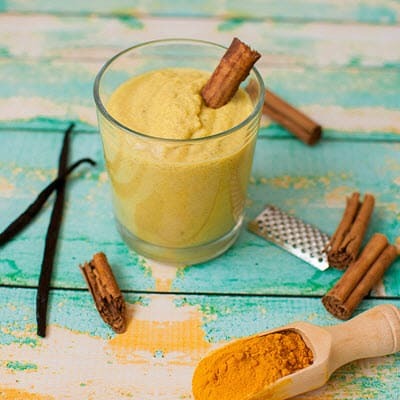 It can be combined with many different ingredients and flavors. Hard cheeses all contain significant levels of casein, making them good choices. Their digestion time is considerably longer than cottage cheese too. However, the exact amount of protein varies from one type to another, as does the amount of casein. Men’s Fitness has a useful guide that highlights protein content in different types of hard cheeses. Just skip the ricotta (which is hardly a hard cheese anyway). While it’s similar to cottage cheese, ricotta is made from whey instead and is a fast digesting source of protein. Milk is roughly 80% casein, making it a simple source of slow digesting protein. This is true for low-fat and fat-free versions of milk, along with full fat. We recommend using full fat wherever possible. It tends to be more satisfying and the fat content isn’t necessarily a bad thing, As Time Magazine points out, full fat dairy can be significant in a healthy diet. It can even promote weight loss and may reduce diabetes risk. The fat content can slow digestion too. As such, the protein in full fat dairy will be digested slower than in low fat versions (​1). Casein isn’t the only source of slow digesting protein. You can get similar effects from many types of meat. This type of protein is digested a little faster than casein protein, but slower than protein from grains or legumes. The fat and fiber present in the meat helps slow digestion too. As such, fattier cuts of meat may digest more slowly than leaner cuts. One estimate suggests that beef and lamb take between 3 and 4 hours to digest fully. This depends on many factors (of course), but it’s a useful general guide. Pork is another meat-based option. It digests more slowly than beef or lamb, with an average of 4.5 to 5 hours of digestion time. Pork is somewhat controversial, so it isn’t a good choice for everyone. But, if you enjoy pork, it’s a relatively mild meat, one that works well in many different dishes. The slow protein digestion is a significant advantage if you’re eating it in the evening. While chicken and turkey digest slowly, this effect isn’t as strong as it is with red meat. The difference isn’t too surprising, as chicken and turkey tend to be leaner cuts of meat. The omega-3 content alone makes fish important in your diet. The protein digestion here isn’t especially slow – often taking an hour, if not less. But, we’re including it on the list anyway. Fish is a versatile addition to the diet and it’s a good protein source when you want something lighter. As a general rule, the fattier cuts of fish have slower digestion times. So, focus on options like salmon and herring first. Nuts are a good general source of protein and they can be slow digesting too. Protein digestion is typically between 2.5 and 3 hours, although the exact rate will depend on the nut in question. Nuts work especially well because they’re so versatile. They can be included in most diets types and some nuts are even low carb. They’re easy to eat as a snack too and often have a long shelf life. This pattern also means that nut butters can offer slow digesting protein. Pumpkin seeds, sunflower seeds, sesame seeds and the like are alternative options for slow digesting protein. Their digestion time averages around 2 hours. So, they’re on the low end of the scale. They’re still effective, especially as they’re so easy to add to your diet. Chia seeds are slow digesting too. These little seeds can be easily sprinkled on top of many meals or snacks (including Greek yogurt). They’re packed with nutrients too. 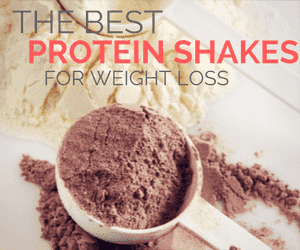 Whey protein powder is common for athletes and for weight loss. But, if you want a slow releasing option, you can turn to casein protein powder instead. As The Protein Works explains, casein powder is increasing in popularity. Like whey, casein is a complete source of protein, so you’re getting all the amino acids that you need. Most brands in this field use micellular casein. The term micellular is a reference to casein in its natural form, which the body can easily absorb (Bulk Nutrients offers extra details about micellular casein). The site Bodybuilding.com offers a good comparison of the difference between whey and casein, and when each is relevant. The foods on this list can all be effective – but they’re not always the right answer. For one thing, there are few examples of slow digesting protein for vegans. Most of the items on this list are sourced from milk, fish or meat. Thankfully, there are a few things you can do instead. Plant-based protein powders are typically slower to digest than whey, although not as much as foods like cottage cheese. You can also turn to store bought vegan protein bars, or make your own. Adding fiber and/or fat to a meal will tend to slow down the digestion of any protein (2). You can also rely on nuts and seeds. These are relatively slow digesting and are a simple way to increase protein intake. You’ll notice that many key sources of protein didn’t make it onto this list, like eggs and whey protein. That’s because these are fast digesting options. That doesn’t make them bad choices, they’re just useful in different situations. For example, eggs offer many different nutrients. They’re perfect if you want something easy and filling, especially as there are so many ways to prepare them. Whey protein is commonly used for bodybuilders and anyone going to the gym regularly. It offers a fast source of protein, which helps with muscle development. In practice, your diet will never consist of just one type of protein. Instead, you’ll use a combination of fast, medium and slow digesting protein. This is true for any diet type, including a high protein diet, keto, Paleo or any general weight loss diet. Using multiple protein sources helps make sure you get all the amino acids you need. It also gives you a balance of digestion speeds. You can also consume protein from multiple slow digesting sources at the same time, if you want. Sliced cheese with a glass of milk is one good example and there are plenty more. A protein shake typically uses various protein sources as well, such as milk, protein powder and even ingredients like chia seeds and nuts. The simplest solution is to rely on whole foods and a variety of different protein sources. Each of those will offer a different balance of nutrients and help promote your overall health. Slow digesting protein may sound inferior to the fast digestion of whey, but that’s not the case at all. Instead, both types of protein are powerful and play a key role in your health. The fast protein sources help you to develop your strength and muscles – and they’re particularly powerful around the time of a workout. Slow sources, like the ones in this list, help prevent muscle breakdown and they’re a perfect choice before bed (3). Related Article: Is it Bad to Eat Before Bed?